ISA was founded in Umbria, in the heart of Italy that is fashion, design and style. Since 1963 Isa produces in its region and from there distributes worldwide refrigerated display cabinets and custom furnishings for public premises. It has established itself in professional refrigeration offering innovative products with the highest technology and reliability. You can visit Isa at www.isaitaly.com. Multifunctional blast chiller and shock freezer with ventilated refrigeration, it can be set for holding Gastronorm trays 1/1 (mm 530 x 650) and pastry trays (mm 600 x 400) and gelato. 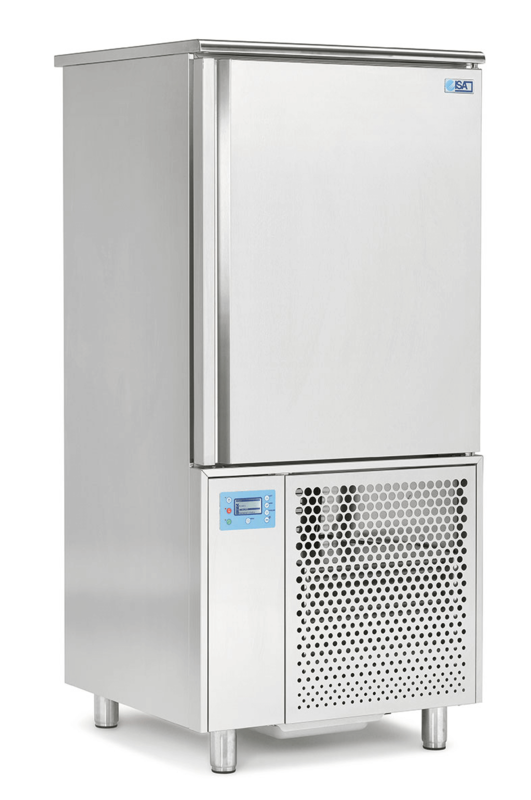 T5 and T8 models are very suitable for ice cream, as well as any other food product. Using ZERO, the advantage with ice cream is that, if it is cooled rapidly to -14C before being put in the display cabinet, it retains a higher level of OVERRUN (percentage of air in the mixture). Also available are the T12 and T16, for large operations that need a big throughput. One-piece body with ecological polyurethane insulation (HCFC & HFC free). 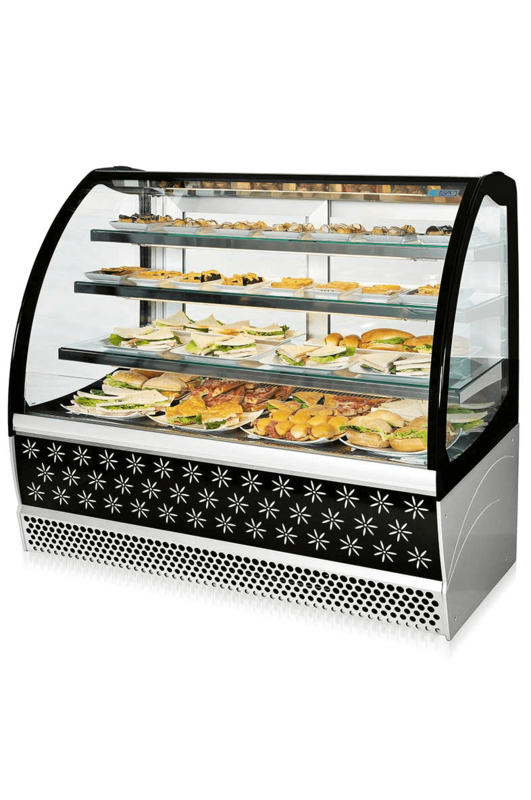 Display base, service top, rear panel, front grid and upper structure with supports and adjustable shelves in bright stainless steel. 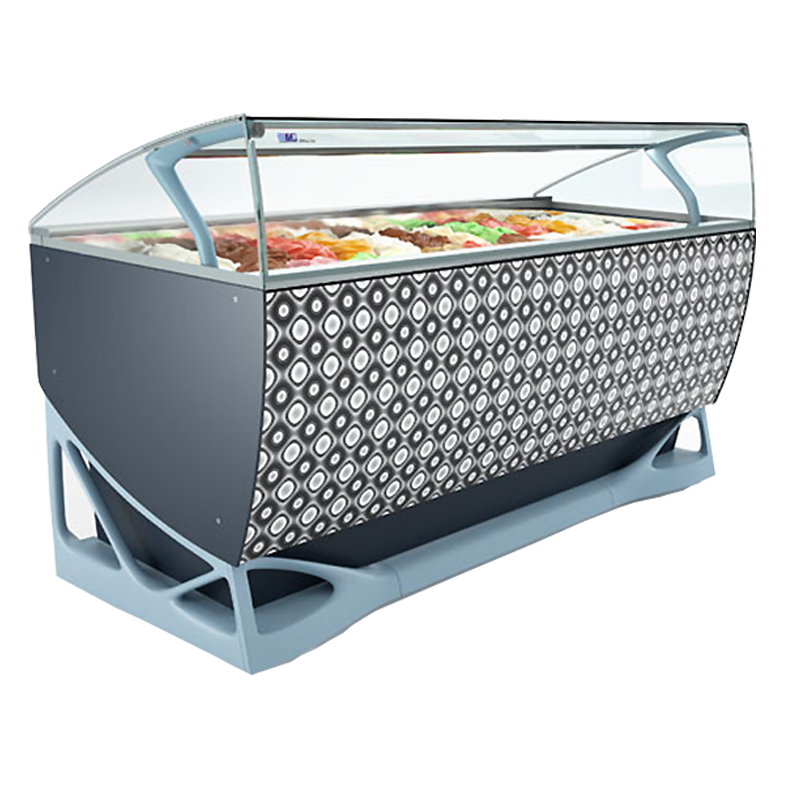 Gelatoshow is the first gelato cabinet featuring all transparent structure and containers that revolutionizes the ice-cream display providing a 3D visibility. 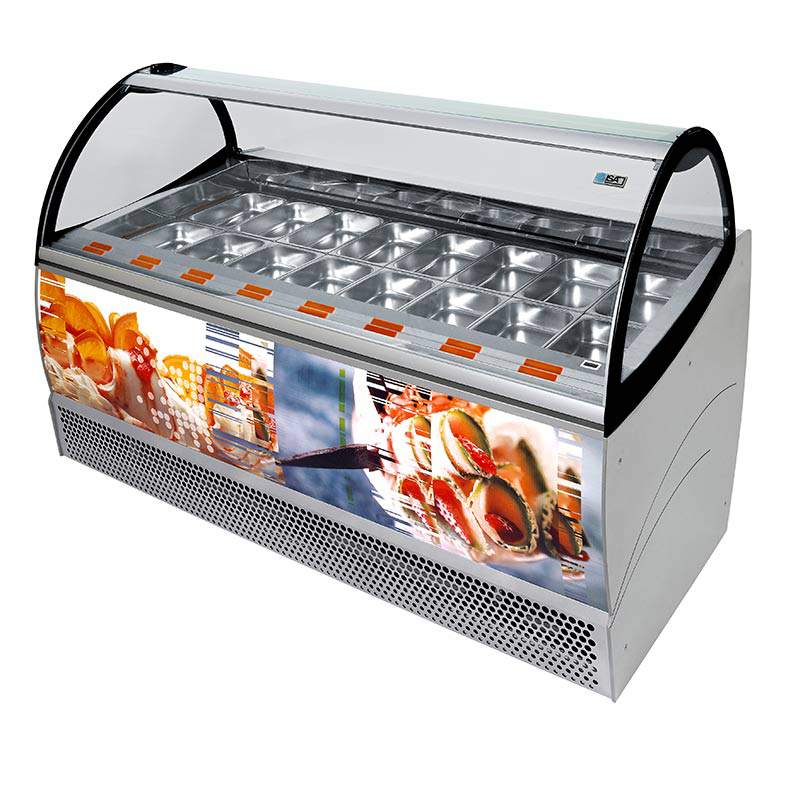 It is fitted with front lighting, as standard equipment, that exalts further the ice-cream display. 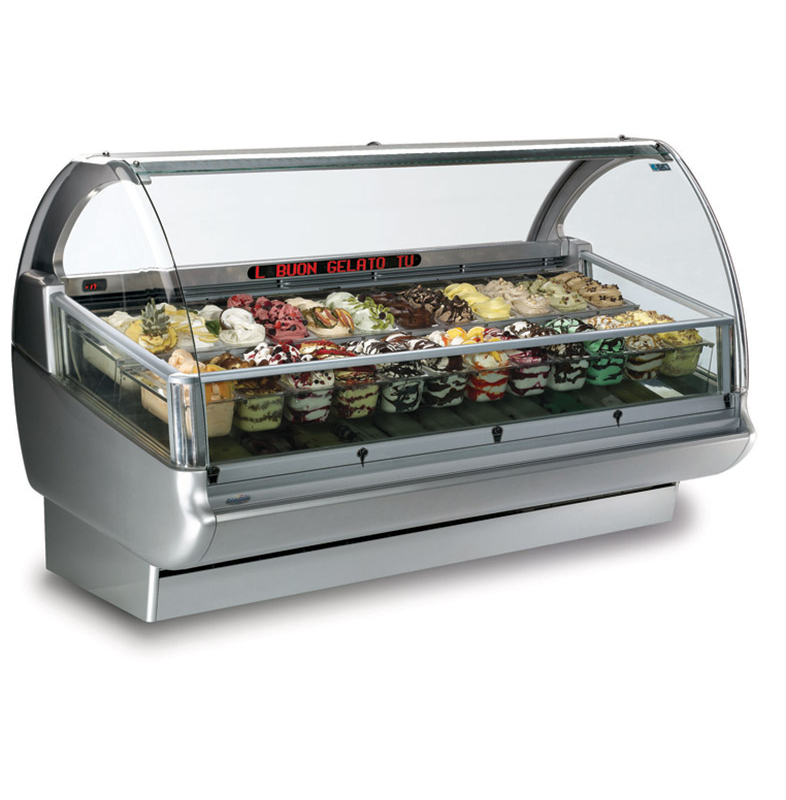 Gelato cabinets with ventilated refrigeration. One-piece body with ecological polyurethane insulation (HCFC & HFC free). Removing the superfluous while maintaining an excellent level of technological performance. This is Olimpica. Its design speaks a unique language, its dynamism offers a myriad of surprises. Also, more space to your customers thanks to a depth of only 940 mm.